Have an old game console lying around? Instead of throwing it away, consider making bugs out of it! 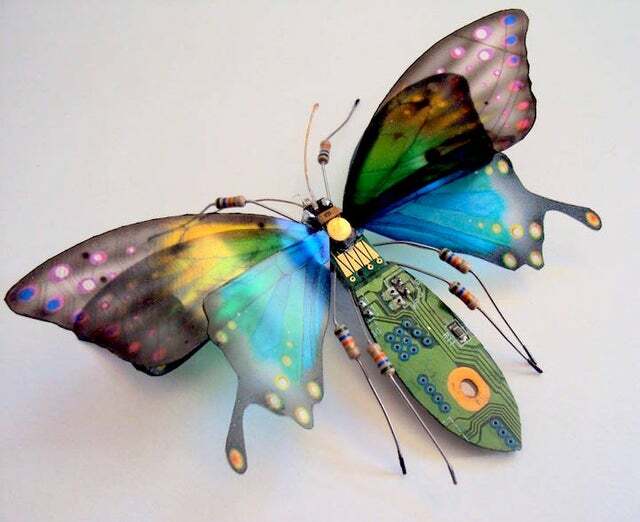 The “Nintendo Bug” sculptures are primarily made out of old circuit boards from discarded Nintendo consoles. And these sculptures aren’t just cool to look at: they also serve as an important reminder of the dangers of e-waste in our environment. They are also beautiful to look at with vibrant colors and intricate details. What do you think? Will you be repurposing your old game consoles to create “Nintendo Bugs”?